Eurolanche did an interview with former Avs forward Wojtek Wolski. Wojtek Wolski was the 21st overall pick of the 2004 NHL Entry Draft. 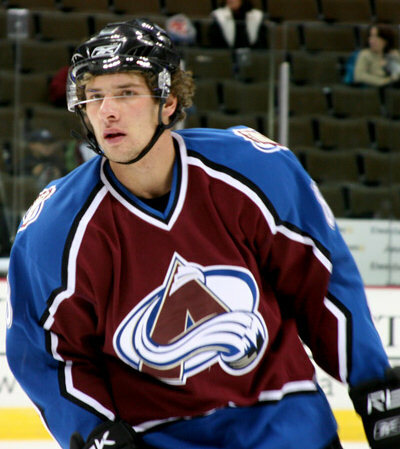 After being drafted by the Colorado Avalanche, Wolski went on to play another season in the OHL, before getting the call up to the NHL, where he remained with the Avalanche until being traded to the Phoenix Coyotes in on March 3, 2010. 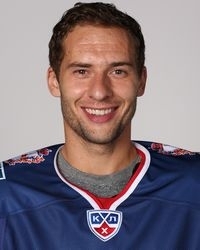 After stints with the Coyotes, the New York Rangers, the Florida Panthers and the Washington Capitals, Wolski decided to sign for Torpedo Nizhny Novgorod of the KHL. Wolski has already played 12 games in the KHL, scoring 3 goals and getting 5 assists. You left the NHL after 8 seasons. What’s the most difficult thing for you in Russia? It’s a new country, a new culture, a totally different way of life. I’m just getting used to that. The practices, coaches. Everything’s different from the NHL, it’s just a whole new experience. I think it’s just another phase in my life. Might be the best thing that ever happened to me. You never know. Some people are just too worried about what can happen, but at this point in my life, I think I’ve just moved on and I’m excited about a new opportunity. What made you move over to Russia? The last couple of years I‘ve had injuries, I haven’t had great seasons. As I get older, I just want to play and enjoy hockey. Obviously, I want to build a financial foundation for myself and my family. I think the KHL allows you to do just that. I have a great opportunity here and it’s been fun so far. Isn’t it hard for you to speak and understand Russian? It is. I speak Polish, so there are similarities. I’ve been trying to learn Russian, I’ve been taking lessons. It’s going to take some time, but I think I’m going to be here for a couple years so might as well learn the language. A lot of the guys from our team speak English, the coaches speak some, too. They’ve been helping us a lot. Have you already adjusted yourself to the different style of hockey here? Yeah, it’s different. Training camps are way longer, you play so many games before you even start the season, so there’s definitely an adjustment period. I think it’s finished and I’m just trying to get ready for every game. Are you already familiar with, for example, the different size of the rinks? I think so. I’m excited about it. Gives me a little more room. You can carry the puck more, which is good for me. I like playing with the puck, creates a lot of scoring chances for me. I think it’s beneficial for my game. Some questions about your career, but let’s start with your childhood in Poland. I don’t really remember any of it. I was way too young. My first memories were probably from Germany and from Toronto, when we moved to Canada. 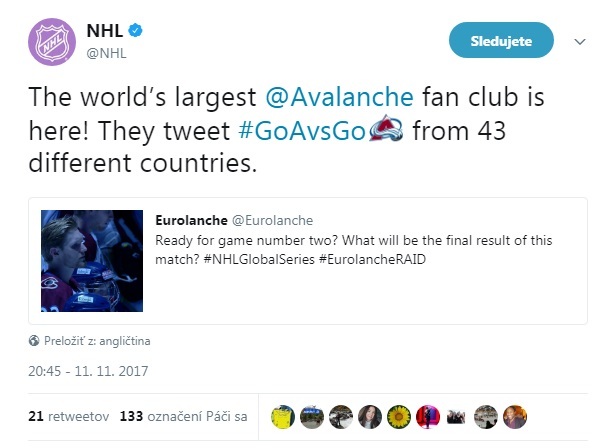 Your first NHL game as a spectator was a matchup between the Maple Leafs and the Avalanche. How do you remember the game? Can you remember the final score? I don’t really remember the result. I know Toronto lost, but I don’t remember the exact score. I do remember that Craig Billington was in net. I was just excited to be at a hockey game and spend time with my dad. How do you remember your first playoff game in 2006? You put up 3 points. I had my NHL debut in 2005 against Edmonton at the beginning of the season, so playing in the playoffs just a year afterwards was great. My first playoff game was against Dallas. I had a great season in the OHL, then I got called up. It was fun to even play in the playoffs and then to get points, that was amazing. My first taste of success. It was a good start to my summer of training for the next season. Do you remember any great and/or special moments from your stint in Denver? Probably my first goal or the playoffs. That was a pretty exciting time. I was so young and it was still just a game. As you get older and you understand that it’s business and everything that comes with it, it changes your point of view. You mentioned the business side of hockey. How did you deal with your trade do Phoenix for Peter Mueller and Kevin Porter? Was it a bitter pill to swallow? Yeah, of course. I was having my best season in the NHL. I really liked the guys in the team, we had a really fun team in Colorado. I didn’t want to get traded. We had too many young guys that were playing well at the time, so there wasn’t enough money to go around. I was happy for the opportunity in Phoenix, it went well and I got a big contract. It’s always great, but I would’ve loved to stay in Colorado. Do you consider your stay in Denver as the best one in the NHL? I don’t know. I had 2 great experiences in the NHL, but Colorado was fun. I still keep in touch with some of the guys. I went to Chris Stewart’s wedding this summer. Saw a lot of the Colorado guys, just brings you back to years ago, when we just got into the NHL. That was definitely the most fun, but I really enjoyed my time in New York as well. Would you name your best friends from your time in Colorado? Chris Stewart, one of my closest friends. I’ve known him since I was probably 8, so before he even started to play hockey. I’ve always played with his brother, he was older than me and Chris just followed us around. I kinda saw him grow up. He’s a great guy. Also Peter Budaj, we still keep in touch once in a while. You know, I don’t see Marek as much, because when he left... I don’t even know where he is now. I remember that he hurt his knee. Him, Peter Budaj, Milan Hejduk and I used to spend a lot of time together when I was in Colorado. Can you compare the organizations you played for in the NHL? Especially the Avs with other ones. I enjoyed my time in Colorado the most by far. It was my first team, probably my favorite team. Playing with Joe Sakic, Pierre Turgeon, Rob Blake, Milan Hejduk and all those guys was amazing. As far as organizations, I think New York, maybe only the Maple Leafs could beat them or be on the same level as New York. Everything they do is first class. There’s so much money involved in New York. You can’t compare the experience. Anything you want, restaurants, tickets to shows, concerts, anything, they set it up for you. I really got treated well in New York. I think living-wise it’s amazing as well. Colorado’s great for families. If you like to be outdoors, go skiing, hiking, golfing, it’s an amazing. You’re of Polish origin. Can you imagine you‘d play in the Polish league for four seasons in order to be eligible to play for the Polish national team? I think it’s ridiculous. I was born in Poland. I played there last year. I wanted to play for team Poland, but I can’t. It really makes it difficult, because I know a few players playing in Europe or playing in North America that would want to play for team Poland, but can’t. It makes it hard. It is what it is. At this point I want to focus on my career in the KHL, when I have time off, I want to spend time with my family. Can’t really see myself going to a two week training camp in Poland or somewhere else when I have time off. Petr Nedved was 36 when he left the NHL for the Czech league. He spent 4 years playing there in order to be eligible for the Czech national team. He played for them during the 2012 World Championship. I could never see myself playing in Poland for four years. I’d like to play in the KHL as long as is possible, maybe go back to the NHL one day. Who knows. I don’t see myself wanting to play four years in Poland just to play for the national time. I don’t think it’s that important to me. How do you like your new team in the KHL so far? I like the team. We have a nice group of guys. They’ve been very helpful, very kind. I think it’s going to help us in the long run, you know, the fact that we like to spend time together, go to dinners and stuff. The league’s good, full of talented, fast and skilled players. I hope that our team gets better and better to give ourselves an opportunity to win. Author of the interview: Jakub Homola, Deputy Editor of Slovakprospects.com - the biggest website about Slovak prospects in Slovakia, Europe, KHL, NHL and a rest of the world.